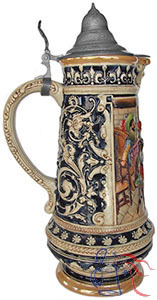 Pottery or stoneware master stein, relief, 3.0L, inlaid (stoneware only) or pewter lid. 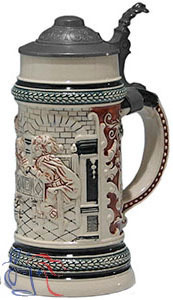 Same model number applied to 0.4L drinking steins. See also Nos. 842 and 847.